The Health and Safety Reform Bill 2014 will become law in mid-2015 and will be called the Health and Safety at Work Act (HASAWA). Following on from the Guidelines for Company Directors on their health and safety responsibilities it is important that PCBU’s (Person Conducting a Business or Undertaking) understand that the effective management of all risks not just health and safety ones is going to be critical to good overall governance. The International Standard provides principles and generic guidelines on risk management and can be used by any public, private or community enterprise, association, group or individual so is not specific to any industry or sector. The Standard can be applied to a wide range of activities, including strategies and decisions, operations, processes, functions, projects, products, services and assets and can be applied to any type of risk, whatever its nature, whether having positive or negative consequences. ‘Due Diligence’ – are you ready to exercise yours? On 24th June, TriEx will be hosting a short workshop based training course for Directors and Officers, which will help you answer such questions in relation to your role as a director. Your facilitator Chris Pearce will take you through what the law says and suggest some ways of achieving due diligence. You will debate those ideas, suggest other ideas you could use and hear the ideas of others. By the end of the workshop you should understand the new duties of directors and other officers and have a range of workable ideas you can implement over the coming months. You will also take away contacts with fellow directors with whom you can develop further ideas. Chris was born and educated in the UK. He has a BSc with Honours in Environmental Health and an MSc in Risk Management, both from Aston University and is currently researching the effectiveness of risk assessments at Victoria University in Wellington. He has gained wide experience as a consultant, risk manager and trainer in New Zealand, the UK, USA and other countries. In 2003 he established Risk Management Limited, an independent risk management consultancy, and taught risk management part-time at Massey University 2007-2012. Since 2007 Chris has been a member of the joint standards committee, OB007, that wrote the original risk management standard and risk handbooks published by Standards Australia and Standards New Zealand. He now represents the New Zealand Institute of Safety Management on that committee and QR005, dependability. 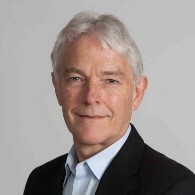 Chris is a member of Risk NZ, the Society for Risk Analysis, New Zealand Institute of Safety Management and a Chartered Fellow of the UK Institution of Occupational Safety and Health. Further information about the course can be downloaded here or please contact Brenda on (03) 341 4080 or email safetytraining@triex.co.nz, if you wish to pre-book a place as these will be limited.